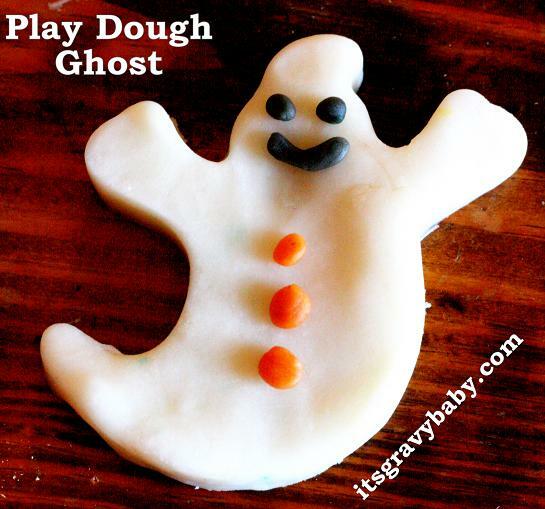 Homemade Play Dough Recipe & Halloween Fun - It's Gravy, Baby! My husband had to work Saturday, so it was just the kids and I. Bryson asked to play with play dough and since we were still using the homemade play-dough I made back in May, I decided it was time to make another batch. Because I wanted to make more colors, I made a much larger quantity this time. This is basically the same recipe, just adapted to make about 4x the original recipe. This play-dough turned out much more silky and smooth than my first batch! I like the texture more and it’s all around better, in my opinion. So, maybe it’s best to make it in a large batch? Or, it could just be a fluke.. Who knows? All I know is that it’s much better than buying it at the store, lasts longer, and is cheaper. In a large pot combine all ingredients and mix well. Stir in the water and oil. Cook over medium heat, stirring constantly, until the dough starts to become dry and pulls away from the pot. The dough should look more dry than wet. Divide the dough into balls and knead. The dough is very hot, so I just shape it into balls, then go back, knead, and add my color after it cools for a few minutes. Add your colors and work each ball until you reach the desired color. I’ve used both liquid and gel colors. The gel colors come out much more vibrant and true to color. In the future, I’ll stick with only gel. With Halloween coming up, I made some orange and black play-dough. To make the black, I just mixed blue, yellow, and red colors until I got the color I was going for. I think you can probably find black food colors during Halloween, but I just used what I had. Then, I dug through our 101 Piece Wilton Cookie Cutter Set to find the Halloween themed cutters. Bryson immediately went after the ghost, but there was also a house, a cat, a bat, a moon, a witch, and two pumpkins. We played with this for hours. It stayed out most of the day and it’s still silky as can be. I’m storing it in a storage bag for now. If you plan on having a Halloween party, this would make perfect party favors. 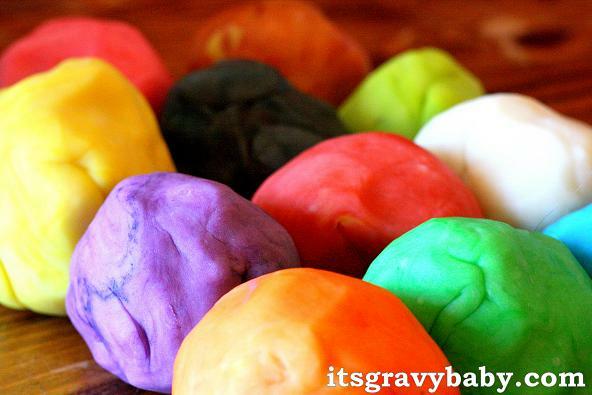 If you haven’t made homemade play dough, definitely give it a try! I know that you won’t be disappointed. I love it. Great colors makes it so much more fun. Awesome! Trey is just dieing to make this now. Looks like we will be making play dough after the pumpkin patch today! How fun, the colors are awesome. Maybe the boys and I should make some play-doh this weekend. I am not very crafty at all but this looks like it is something I can handle! I love all of your colors! 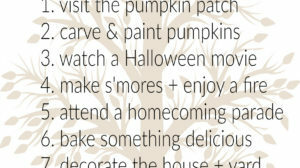 What a great idea for the fall! 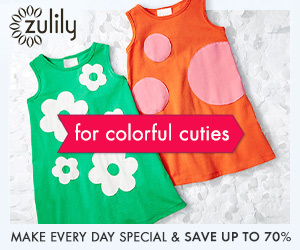 You created so many fun colors! I’m bookmarking this for my daughter! 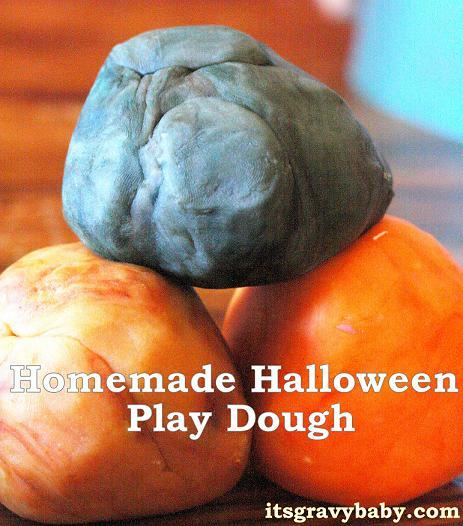 I’ve been meaning to look up a recipe for homemade play dough but now I don’t have to! Thank for the recipe, the girl I babysit for has run out of playdough and I hadn’t even thought of making it with her! 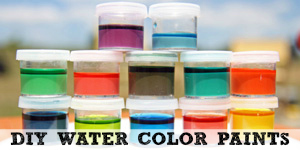 This sounds like a great activity and I’m thrilled to know that it lasts longer and we can make our own unique colors! Thanks! 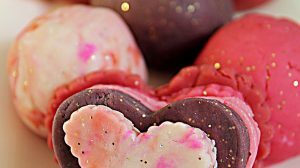 While you are in the process of adding the color to the dough, you’ll probably get some on your hands. Other than that though, the color doesn’t come off at all. You can make it, add the color, and hand it to your children with no problems! How fun! I’ve never made my own before! Love it. So fun and colorful. that ghost looks good enough to eat. i love this idea! 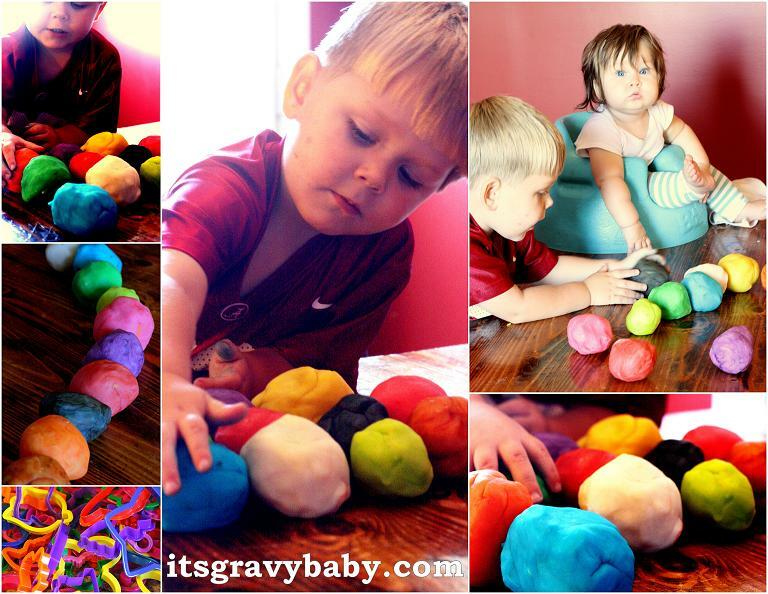 all of the colors are so much more fun than the standard neon playdough! I’m sure any kind of oil would work. Have fun! I did this today for my 3 1/2 year old twins, and they are in love! I didn’t have any veggie oil, so I used EVOO, and that seemed to work just fine. 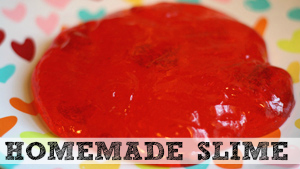 I also used run of the mill food coloring from the store, and except for my hands and the board I used for kneading looking like easter barf 🙂 , I think it was a major success – thank you so much for this guide! I’m so glad to hear that it worked well for you & that the kids enjoyed it. Thanks for the comment! Awww, you reminded me of the days I was a stay-at-home mom and made homemade playdough. I can smell the stuff right now. Great post and such vibrant colors! 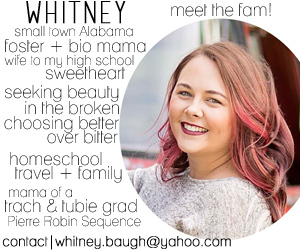 Wow, you have great DIY and craft posts! How long does it keep? I have made play-dough before but wasn’t sure how long to keep it before getting rid of it…. You know, I really have NO idea. I haven’t had a batch go bad, but I usually make a new one every 4 or 5 months. Sorry I’m not more help! I’m a preschool teacher and we make this play dough – a different color every month. Tip: Add your color to the liquid ingredients, then cook. color is more uniform and doesn’t get all over hands in kneading stage. 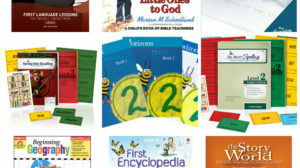 Fabulous ideas! 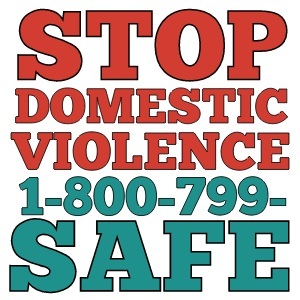 This the the perfect time of year again to read this post.. thank you for sharing. The colors that you are using, are these food colorings? My grand kids are at the age for doing fun stuff like these so I’m new to this. My grandson age 4 loves slime so we are trying this today.Thank you for the great ideas for a learning grandmother. LOVE this!!! I want to do this with our toddler, he would enjoy it so much! Thanks for sharing! this looks like so much fun to make..can’t wait til my daughter is old enough so we can make it together…thank you for sharing.. Thanks so much for this recipe. Me and Emma made our first batch of play dough. So fun!